Over the years, the technology behind braces has improved significantly. If you plan on getting orthodontic treatment, you may be considering either metal or ceramic braces, but in reality there may be a third, less invasive and less noticeable option — Invisalign. Invisalign is a form of plastic aligners that are so clear and translucent, they barely even look like you are wearing braces at all! Along with having a more appealing aesthetic, they are also extremely effective for treating a variety of issues. Like traditional braces, Invisalign is also made for both adults and teenagers. Invisalign is the next step in orthodontic teeth alignment, based around cutting-edge technology that continues to improve and become more efficient year after year. This dedication to innovation and quality has led to them becoming a leader in limited orthodontics. 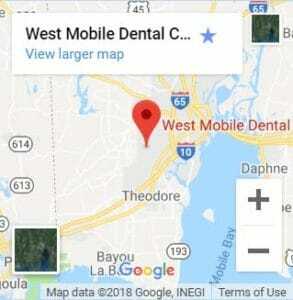 Call (251) 666-3600 to Schedule Your Appointment Today! What most people think of when they think of Invisalign is the fact that they are clear, allowing them to blend in and be difficult to be seen. While this is definitely one of its more popular features, increased esthetics is not the only thing that makes Invisalign so widely accepted. 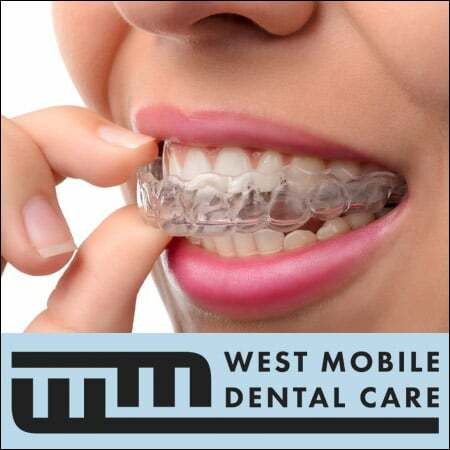 Invisalign braces are also much more comfortable than wire braces. If you personally ever had wire braces in the past or you know someone that has, you are aware of how uncomfortable they can feel, and how—with a little tweak in the wire—they can begin to annoy or even cut a person’s cheeks. This annoyance can be avoided with a soft, flexible Invisalign tray. Unlike traditional orthodontic braces, Invisalign braces are also extremely easy to remove, making it easier for you to brush your teeth, floss and rinse. You can even remove your Invisalign when you eat! This means you don’t have to worry about food getting lodged in your braces, or being unable to properly clean your teeth. If you are an athlete, Invisalign also allows you to continue to compete at a high level without having to worry about the inside of your mouth being traumatized from brackets or wires due to any sort of impact. On top of all of this, Invisalign trays are manufactured specifically for your mouth. Once your Invisalign trays are ready, you’ll be fitted and then sent home with your new, clear braces! This will include new aligners that are to be changed out every two weeks. Every month you’ll be required to visit for a checkup to ensure that the correction that you are undergoing is progressing according to plan. Following completion of treatment your oral health care professional may recommend that you wear a retainer to ensure that your teeth to not relapse and return to their original position. What Makes Invisalign Different from Wire Braces? While Invisalign is technically a form of braces, it is so much more. Invisalign creates an alternative to traditional wire braces, which are fixed in place. Their ability to be easily removed allows you to do things like eat and brush your teeth much easier and more efficiently. You also don’t run the risk of having the wire or the braces cutting the inside of your mouth, or your cheeks. As anyone with wire braces can tell you, it’s easy to remember that they are there—especially if something isn’t adjusted properly. With Invisalign, though, it’s easy to forget because they are so comfortable and soft. One of the most obvious benefits is the fact that Invisalign trays are so much less noticeable. While with traditional wire braces—whether they are metal or ceramic—it’s easy to tell that they are there. Invisalign braces blend in. Many people won’t even notice that you are wearing them! If you are interested in braces of any kind, it’s good to see if you are an appropriate good candidate for orthodontics. At your consultation, you can discuss your options, and if they offer Invisalign as a solution. If they don’t, you can always ask for a referral to someone who does. It is important to understand that while Invisalign is amazing for a variety of different orthodontic adjustments, there will be some issues that may be too much for Invisalign. These sorts of orthodontic therapy may require traditional wire braces.